Established in 1996, FreedomVoice became among the first in the United States to provide toll free number solutions for businesses. In 2016 FreedomVoice was acquired by GoDaddy – with the goal of helping small businesses start, grow, and succeed. 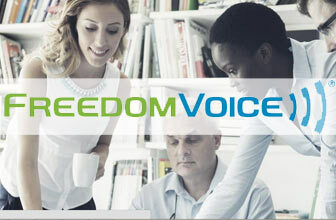 Today, FreedomVoice works to create flexible, full-service business communications solutions. Their flexible service solutions allow for customized plans to fit a wide variety of business needs, and allowing even the smallest of businesses to take advantage of professional communications solutions to enhance their brand and appeal. Who is FreedomVoice Best Suited For? CloudNumber – which is a shared minutes plan that gives you a virtual phone number (either toll free or local) and allows you to redirect calls to a cell phone(s) or other number(s). This is similar to RingCentral Professional or Phone.com's Pay Per Minute Plans. CloudPhone – which is an unlimited (domestic) minutes plan with an included office phone. It is designed to expand from one to four users (phones) and is perfect for small offices. Think of this option as similar to RingCentral Office or Phone.com Unlimited Minutes Plans. 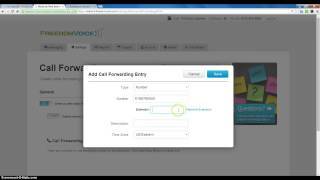 CloudPBX – which is similar to CloudPhone but allows you to expand above four users. Where it really sets itself apart from providers like RingCentral Office is that FreedomVoice gives you unlimited domestic calling but instead of billing you a flat fee for every user(phone), they only bill you based on the max simultaneous calls per month. This is extremely beneficial for offices where some users(phones) are used to a much lesser degree than others – you aren't paying on a strictly per seat basis. CloudNumber offers three plan options starting at $9.95 for 400 shared minutes, a mid-range plan for $19.95 with 1200 shared minutes and then the top level plan for $29.95 with 3000 shared minutes. CloudNumber comes with a 30 day Free Trial. CloudPhone bills at a flat rate of $29.95/phone/month for unlimited domestic minutes and includes the service, phone number and phone(s). With each phone, think of it as one user – so if you have an office of 3 people who all need phones then you'd pay 3 x $29.95 or $89.85 per month. There is no free trial because you are purchasing phones with this service, so you are best to try CloudNumber first if you are unsure about the service..
CloudPBX is a bit different – they charge a monthly fee for max simultaneous calls and a low per user rate. With this you get unlimited domestic minutes and all the features of a Virtual PBX. Phones with this service are purchased separately. With this service you are also paired with a certified CloudPBX partner local to your area, who can provide an on-site or online demo, assess your network, and ultimately will install and configure your service to meet your exact requirements. CloudPBX is definitely designed for mid to larger sized office needs. 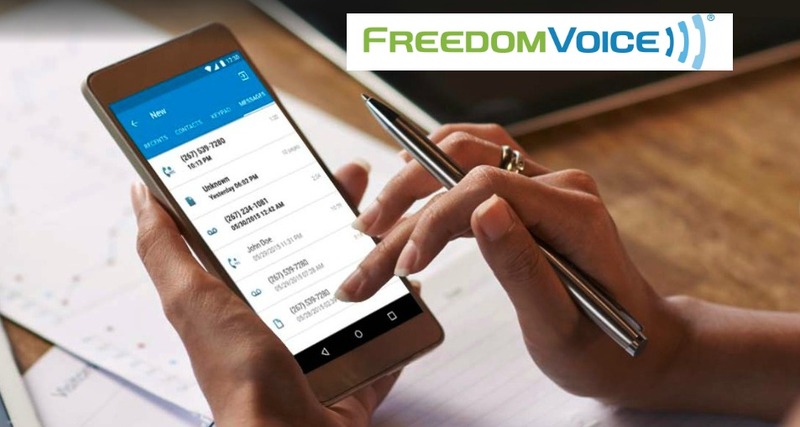 All FreedomVoice plans include all of the common call management features, such as follow me live call forwarding, auto attendant greeting, hold music, call queues and hunt groups, voicemail to email, call forwarding, call screening, call blocking, online fax, and online WebLINK control panel. FreedomVoice comes standard with one local or toll free number upon sign up. If you have an existing business number, you can transfer that number for a one time fee of $30. This same one time fee applies to vanity and true 800 numbers as well. If you need more than one number, they are available at an additional monthly charge of $5 for toll free numbers and $10 for local numbers. FreedomVoice offers minimal advanced features included in its pricing plans when compared to its competitors. All advanced features come at an additional price regardless of pricing plan. 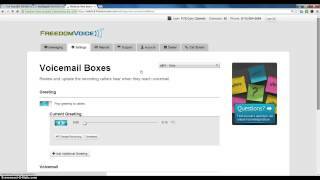 These features include call recording, professional voice talents, and voicemail transcription. If however you are looking for advanced features such as CRM integration or video conferencing, then Freedomvoice may not be the solution for you. 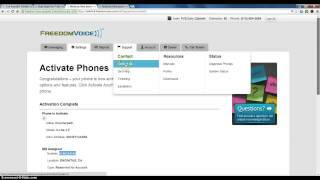 FreedomVoice virtual phones and services are easy to setup and easy to use. Since service is equipment free, you will not have to learn how to operate any new hardware. After signup and activation, instructions are sent regarding auto attendant set up and configurations. From there, everything is operating via FreedomVoice’s WebLINK. 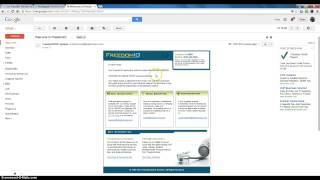 FreedomVoice standard customer support – available M-F from 5AM to 6:00PM PDT and Saturday, 6:30AM – 3:30PM PST. They also offer 24/7 emergency support to all customers. WebLINK Control Panel: FreedomVoice’s WebLINK control panel is highly intuitive and simplifies call management, enhancing user experience. This high functionality is necessary, as all calls are managed and made through this control panel. Customizable Solutions: Each pricing tier can be fully customized to accommodate individual business needs. Some of the special customizations offered include call routing logic, promotional code capture, SOAP API integration, and database storage and access. Professional Voice Talents: Businesses can enlist the help of professional voice talents and record customized voicemail greetings and/or an auto attendant script. While this feature comes at an additional cost (must contact sales for a quote), it adds another layer of professionalism to your virtual phone system. Easy Setup: Since there is no additional equipment to purchase, setup is quick and easy. And, once completed, all options and features can be accessed and managed via FreedomVoice’s WebLINK control Panel. No Equipment Needed: FreedomVoice’s CloudNumber solution does not require additional equipment, saving you money. 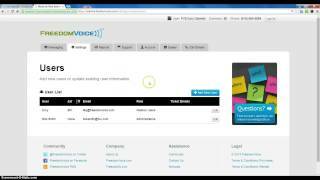 Free Trial: FreedomVoice CloudNumber plans come with a free trial. This allows you to test out the system, plan and features in order to determine whether or not it is the best fit for you and your business needs. Not all Prices Published: While FreedomVoice offers customizable plans; much of their pricing for additional features as well as their CloudPBX solution are unpublished. Potential clients must then call for pricing. Call Recording Extra: Most competitor plans provide call-recording options as part of their base packages. FreedomVoice, however, does not. Fewer Features for Cost: Compared to its competitors, FreedomVoice offers less base features for the price. For example, customers will pay $10 extra for a local number and an additional monthly charge for voicemail transcription services—to name a few. Customizable and no equipment necessary. Julia Richardson is a senior editor/researcher at Revuezzle. As a mom of 3 with a degree in Marketing, Julia loves to combine her passions- writing, researching, and people. In pursuit of these passions, she’s done a little bit of everything— From B2B sales, advertising copy, to writing, research, and the occasional celebrity interview. Her writings have been featured in multiple blogs and online publications, and she’s designed and implemented marketing plans for several Fortune 500 companies. Julia lives in Richmond, VA with her husband, kids, and her dog Phoebe.